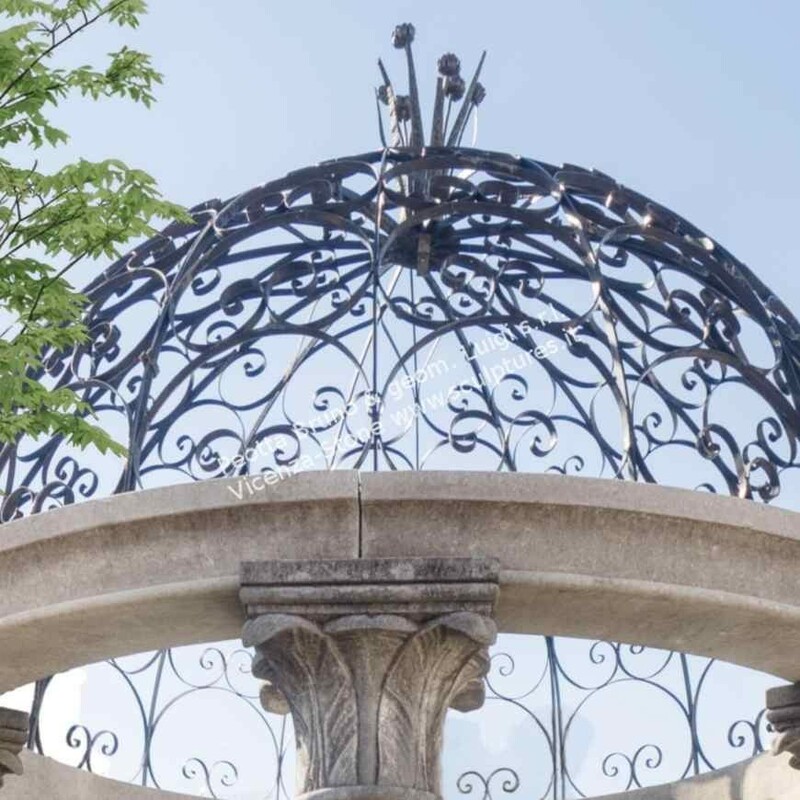 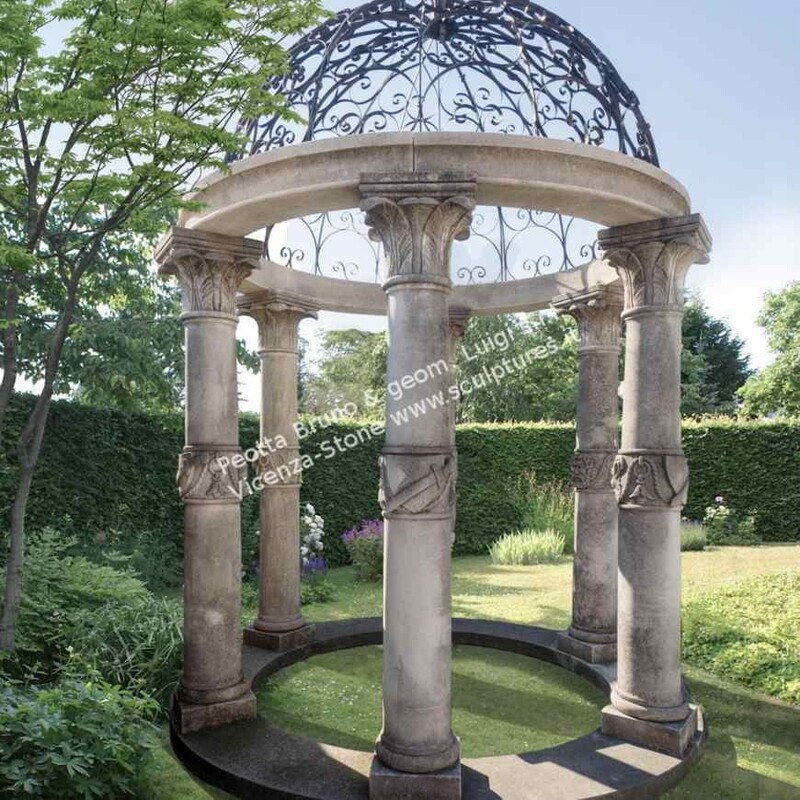 Hand-made gazebo in classic Italian style complete with stairs and arches columns dome decorated iron. 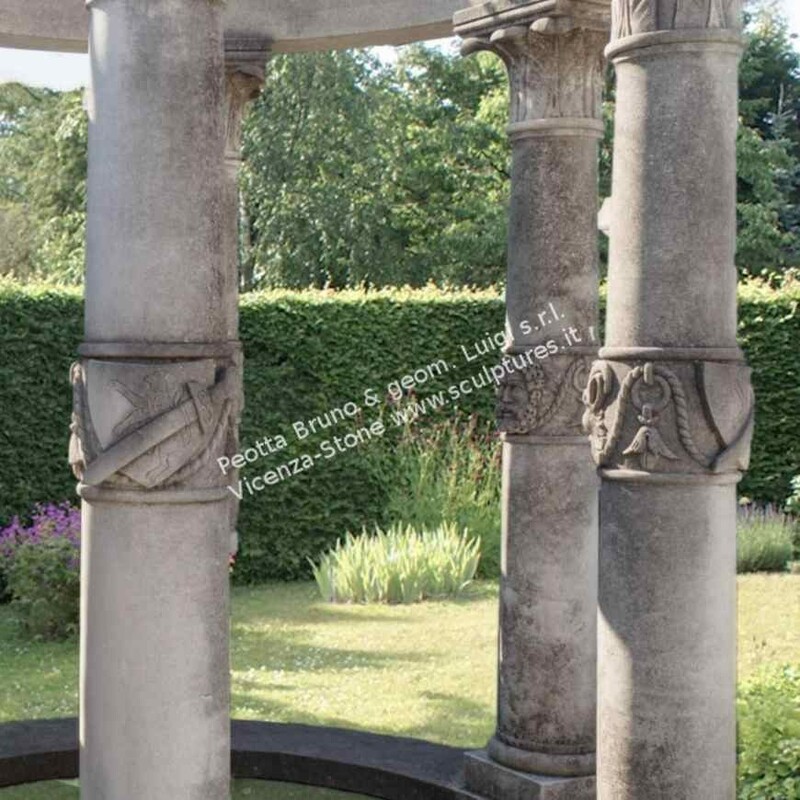 All columns have different masks and shields made by hand. 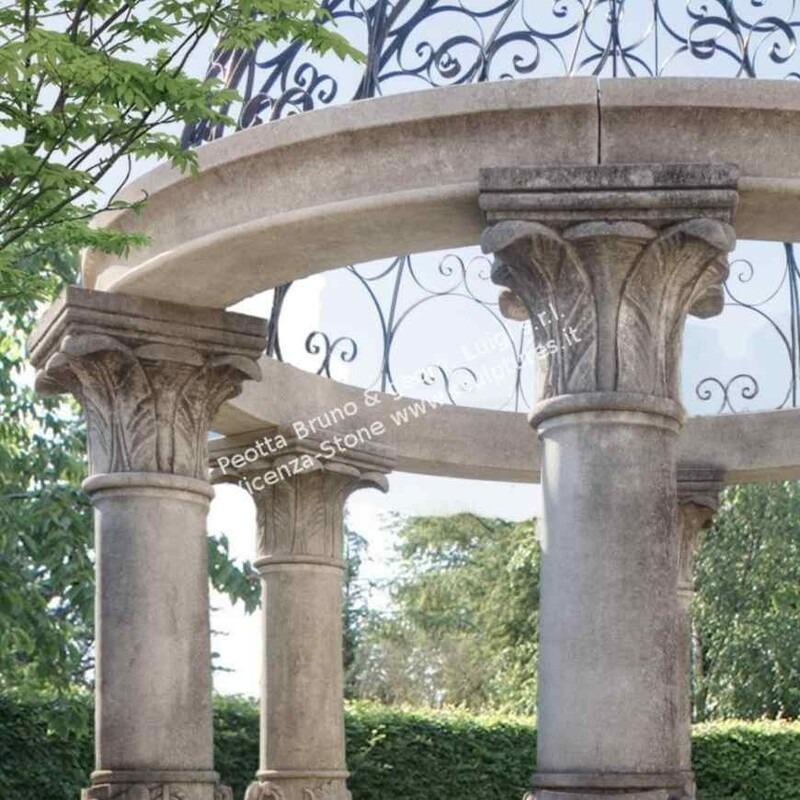 The capitals with leaves the Florentine style of this large gazebo.